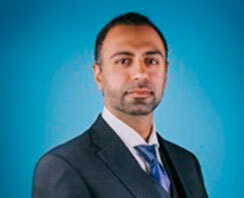 Dr. Murisiku Raifu is a board-certified spine and neurosurgeon who is known for his compassion and outreach. 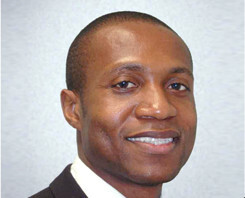 Dr. Raifu has assisted in many programs to aid the underprivileged, using his medical training to help those in need. He has extensive experience in spine and neurosurgery, and has published in peer-reviewed medical journals. Dr. Raifu obtained his BA in biology and black studies at Amherst College, where he designed single universal primers for blind PCR amplification of mice immunoglobin genes, which are currently used in many research laboratories across the world. He then went on to receive his MD at the University of Minnesota Medical School. His internship and residency were done at UCLA, where he was Chief Resident in Neurosurgery at Los Angeles VA Hospital in 2006, and Chief Resident in Neurosurgery from 2007-2008. Throughout Dr. Raifu’s academic and medical career, he has been part of many humanitarian programs. These include being part of a visiting neurosurgery team to Shanghai Children’s Hospital in order to perform pro bono surgery for orphans needing medical clearance for adoption, volunteering to help bring solar energy solutions to rural Haiti as well as assess medical needs, and co-chairing the Student International Health Committee, a group dedicated to promoting trans-national and cross-cultural healthcare education. Dr. Raifu is an accomplished spine and neurosurgeon, with particular expertise in minimally invasive, endoscope-assisted spine surgery. His technique, skill, compassion, and experience combine to make him one of the foremost spine and brain surgeons in Los Angeles. Click here to learn more about the expert spine surgeons at ProMedSPINE! Next, learn about accomplished neurosurgeon Dr. Edelman.